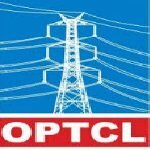 OPTCL Office Assistant recruitment 2016-17 notification apply for 100 posts : Odisha Power Transmission Corporation Limited (OPTCL) welcomes application for the position of 100 Office Assistant Grade – III (Trainee) vacancies.Candidates who completed their Degre is a good opportunity.The individuals who are the occupation seekers searching for govt employments in Odisha this is the best chance to apply. Competitors read the official notification then read all the guidelines and miners precisely then apply before the last date online application got. All the interested and eligible candidates can apply online before 27th July 2016. Candidates Age Limit: The age of the candidate must not be under 21 years and must not be above the age of 32 years. The age of the applicant should be as on 1st January 2016. He / she must not have been born earlier than 2nd January 1984 and not later than 1st January 1995. Academic quadlification details: Candidates should have possess a bachelor degree in any discipline from a recognized university or possess such other qualification there to and the applicant must have adequate knowledge in computer application. Details of Fee particulars: All the interested and eligible candidates are need to pay application fee Rs 500/- for un-reserved categories candidates / SEBC categories candidates and Rs 250/- for schedule caste categories candidates / Schedule tribe categories candidates / person with disabilities categories candidates. OPTCL departmental candidates are exempted from payment of this fee. Candidates shall be required to make the payment of fee while filling up online application either in online mode or offline mode. Official website: All the interested and eligible candidates can apply online through official website of Odisha Power Transmission Corporation Limited (OPTCL) www.optcl.co.in from 28th June 2016 to 27th July 2016.